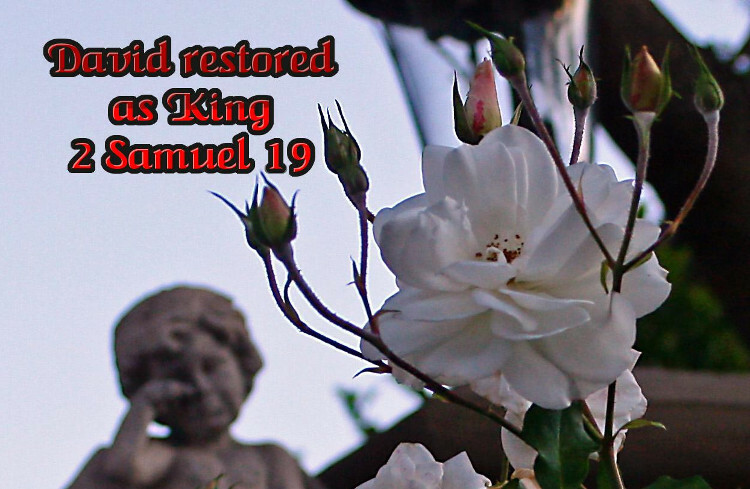 With 2 Samuel 19, the rebellion of Absalom comes to an end. David fled Jerusalem and took refuge with his band of supporters in the village of Mahanaim. Absalom took possession of Jerusalem, but he needed to kill his father to solidify his claim to the throne. The two armies clash in the forest of Ephraim and Absalom and his men are defeated. With Absalom dead, Joab blows the trumpet to end the battle and the civil war is over. Except David is still in exile. Now we have a guilty nation before a vindicated king. How do you approach your king after you’ve been sinful or rebellious? Three individuals plus the tribes of Judah and Israel give us 5 different responses to the returning king. The northern tribes take no blame for siding with Absalom (“David fled”) instead of remaining loyal to God’s anointed king. Yet they condemn themselves (“Absalom whom we anointed over us”) since only prophets had the right to anoint a king. David appeals to Judah based on their pride (19:11) and their relationship (19:13). In response to their fear of retribution (19:13), he promises to make Amasa his top general. Just as David grieved more for Absalom than rejoiced over God’s delivering him and his kingdom, David again chooses family over national good. Gilgal is where Joshua first made his camp after crossing the Jordan river (Joshua 4:19-24), where Samuel ministered (1 Samuel 7:15-17) and were Saul was publicly anointed king (1 Samuel 11:14-15). In addition to failing to admit their guilt, the northern tribes demand their rights. The northern tribes think David owes them a proportionally larger share of his favor and they want what is due them. 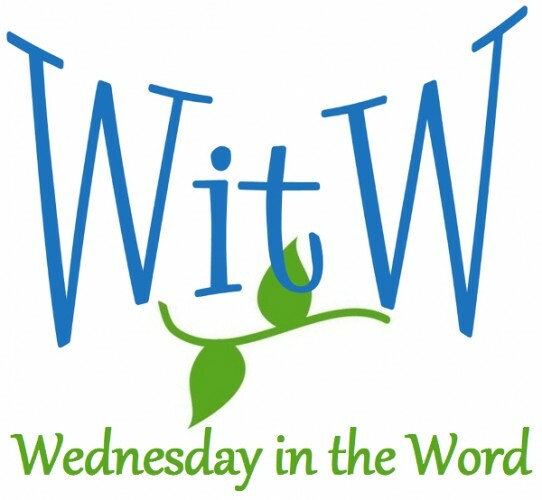 Judah relies on their birthright: David is related to them by blood. Absalom’s rebellion first broke out at Hebron in the heart of Judah. In a sense, the southern tribes are more guilty than the north, because they started the rebellion. Like Israel, they make no mention of their guilt. Instead they relay on who they are. Shimei admits he was wrong, but he has many reasons why his misguided actions should be overlooked. He is the first of all the house of Joseph to come down to meet the king. He “hurried” (vs 16), he rushed (vs 17) and he got there first (vs 20). In addition to his verbal argument, he brought an impressive visual argument: one thousand men from the tribe of Benjamin (vs 17). Shimei does only what is politically necessary to save his life. Like Shimei, Mephibosheth’s apology consists of both a sign and a speech. But while Shimei’s sign was military strength, Mephibosheth’s sign is his unkempt appearance. Mephibosheth acknowledges the new king owes him nothing. He expects nothing but death. His only concern is that the rightful king be restored to the throne. While Mephibosheth is a picture of the repentant sinner coming to faith, Barzillai is a picture of the mature believer acting on his faith and serving when needed. Barzillai’s story shows you are never too old to serve the kingdom.